CHICAGO— Gaby Driessen stopped by St. Peter’s Church here and a priest put a thick smudge of ash on her forehead—a traditional way Catholics and other Christians physically show their commitment to the faith on Ash Wednesday, the first day of the season of Lent. Then she did what many 24-year-olds would. She took a self-portrait, or selfie, with a friend and they posted it on Instagram. “My family—we’re all apart. 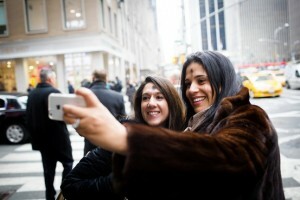 Every year on Ash Wednesday, we send selfies,” she said. 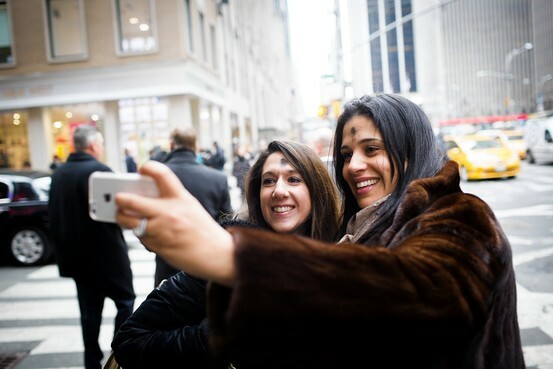 The Ash Wednesday selfie—a modern mixing of Christian piety with social media self-involvement—is becoming a tradition for a growing number of Catholics. The typically staid United States Conference of Catholic Bishops welcomed photo submissions to its Facebook page using the tag #AshWednesday. And Catholic online magazine Busted Halo has been holding an annual “Show Us Your Ash” competition since 2009, where the faithful can upload photos of themselves and others to Twitter and Instagram. “Any way we can encourage people thinking about their faith, their spirituality, we want to do that,” said the Rev. Dave Dwyer of Busted Halo. “Today’s kind of that bull’s-eye day.” The group got a few hundred submissions last year, and numbers were even better this year, he said. Still, some scholars question the practice on such a solemn day. Lent is an annual commemoration of the 40 days that the Bible says Jesus spent fasting in the desert and culminates with Holy Week and Easter, when Christians believe Jesus was crucified then resurrected. The day before Ash Wednesday is Mardi Gras, or Fat Tuesday, a day of feasting and celebration before Lenten austerity. The power of the selfie in the secular world was reconfirmed this week when Academy Awards host Ellen DeGeneres posted a photo of herself—since reported to be part of a broader advertising campaign—with a handful of movie stars that became the most retweeted photo ever. To be fair, no Ash Wednesday selfie has much hope of matching the big-budget advertising of Ms. DeGeneres’s snapshot. For Maddi McCrea, 25, posting selfies is her generation’s way to quickly keep in touch—and is especially useful to let her parents know she went to church. “Mom, look, I went, I promise,” she said brandishing the proof of the ashen cross on her forehead displayed on her smartphone screen. The Rev. James Martin, an editor at the Catholic weekly magazine, America, said he recognizes there might be some incongruity. “The irony is the Gospel reading says, when you fast and do penance, make sure no one knows about it,” he said. He sees these sorts of social-media campaigns as a way for the church to engage with a younger generation, but only the person posting knows if it is being done for the right reasons. “As with most things in life, you need a sense of moderation and only a person’s conscience can tell them why they’re posting these things,” he said.